Find us in the yogurt aisle of your favorite grocery store today! 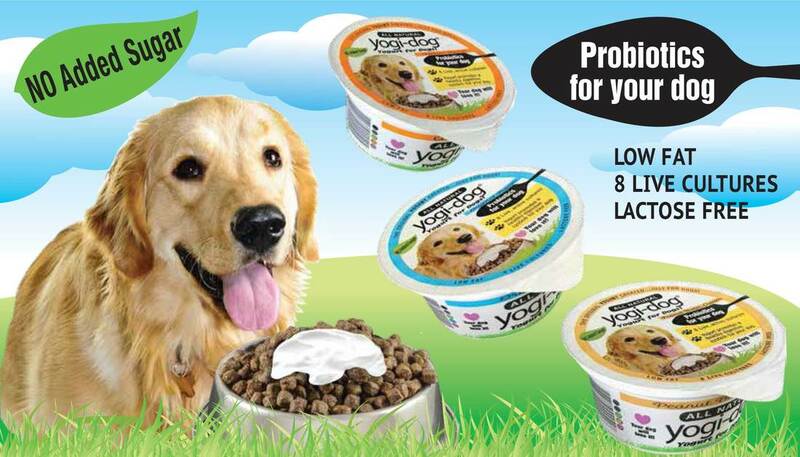 Dogs just got their own yogurt! There’s a new healthy treat that your dogs can eat every day! Yogi-Dog: Yogurt for Dogs is lactose and sugar-free, and best of all, helps your pups build healthier digestive and immune systems! With 17 billion CFUs (colony forming units, the standard measurement unit) of probiotics per 6-OZ container, just one serving encourages the absorption of so-called “good” bacteria and rejection of the bad. Just like humans, dogs don’t always want to eat what’s good for them – they want to eat what tastes good! Because the food scientists behind Yogi-Dog: Yogurt for Dogs are also dog lovers, it’s first and foremost a pooch-pleasing treat! Now your dog can enjoy a daily dose of delicious dairy, with no downsides! 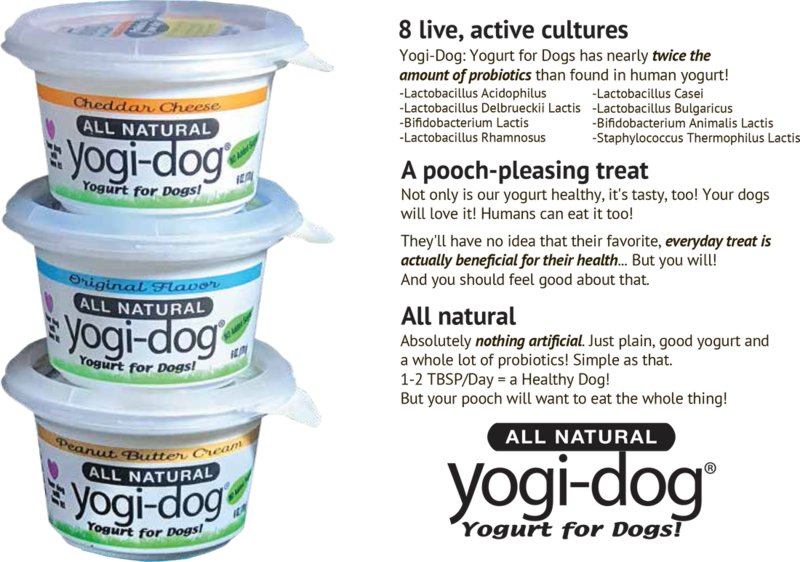 Microorganisms that when consumed maintain or restore beneficial bacteria to the digestive tract for a long and healthy life; found in Yogi-Dog: Yogurt for Dogs... an everyday pooch-pleasing treat!